Over the weekend, someone broke into Raleigh’s Helping Hand Mission, a nonprofit organization, and stole nearly 65 backpacks filled with school supplies. Volunteers had been preparing these backpacks for needy school-age children in our community. Of course folks have stepped up and donated additional supplies, but it just makes you think. What was the plan around stealing school supplies? Sell them on the street? Honestly, I sort of understand the desperation. I took my high school-aged daughter school supply shopping last week. She loves school supplies, so we already had accumulated many of the items on the list. Our total bill was still over $175 -- and that was not including the $142 calculator we had from a year ago. School supplies are expensive. We have kids returning to school without new clothes, without adequate school supplies and with stressed-out parents. I also read that teachers spend an average of $448 a year from their own pockets for classroom supplies. A recent national story highlighted a teacher in North Carolina making $34,000 a year and spending more than $500 on supplies for her classroom. If you are feeling inclined, you may want to donate to a local organization accumulating supplies for kids. Boys and Girls Clubs all across the state are collecting supplies, as are other education-focused organizations and schools. Or contact a school in your community and donate needed supplies directly. 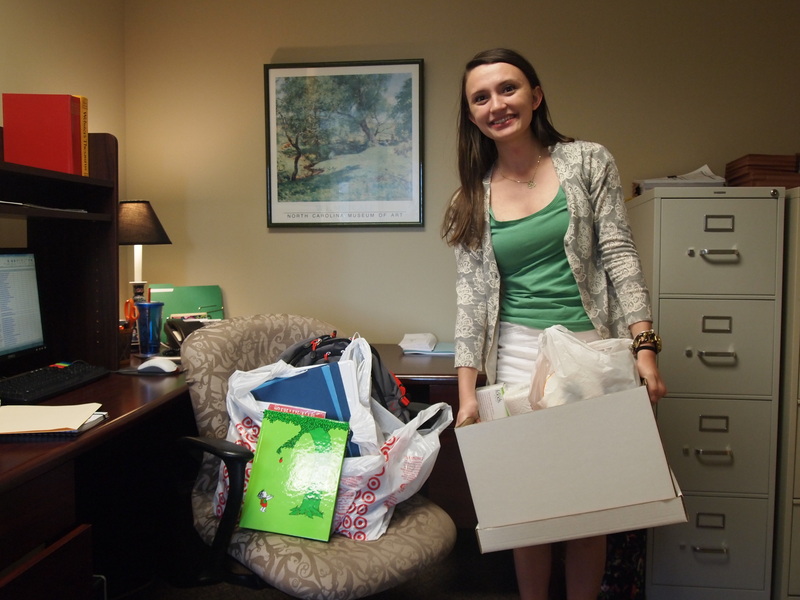 In our Raleigh headquarters office, Brittaney Rea, NCCF grants intern, got us all involved in gathering school supplies for a local child in need. We were happy to help. We all still sort of love school supplies and remember our own excitement and fear around first days of school.